1. 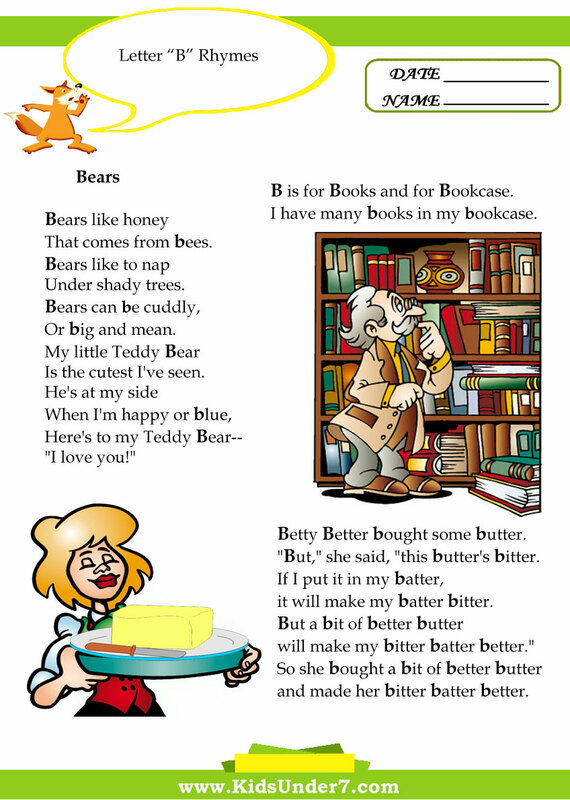 B is for Bear and Bee. 2. 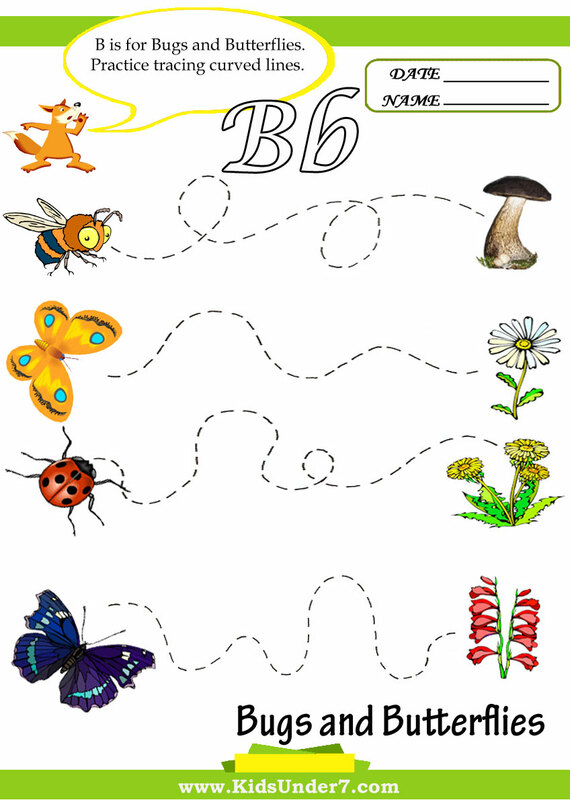 B is for Bugs and Butterflies.Practice tracing curved lines. 3.Bess likes blue balloons and Bill likes red balloons. Color and count the number of balloons. 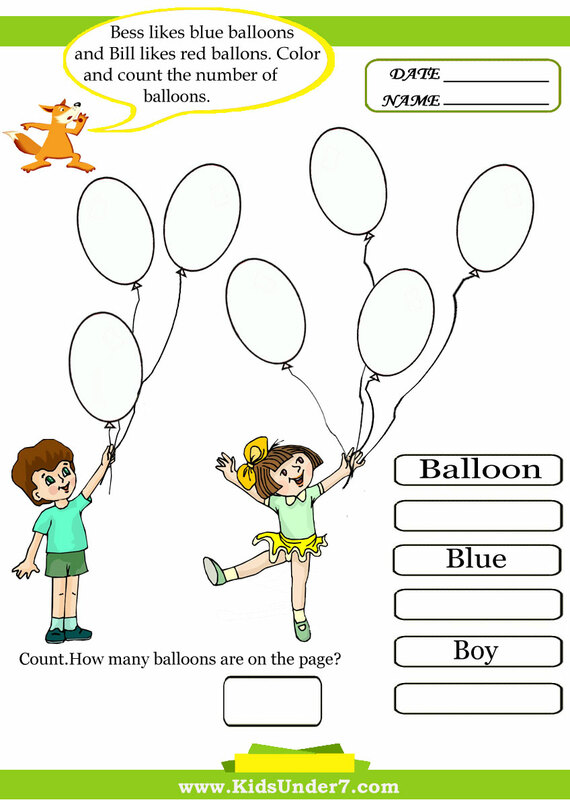 Count how many balloons are on the page. 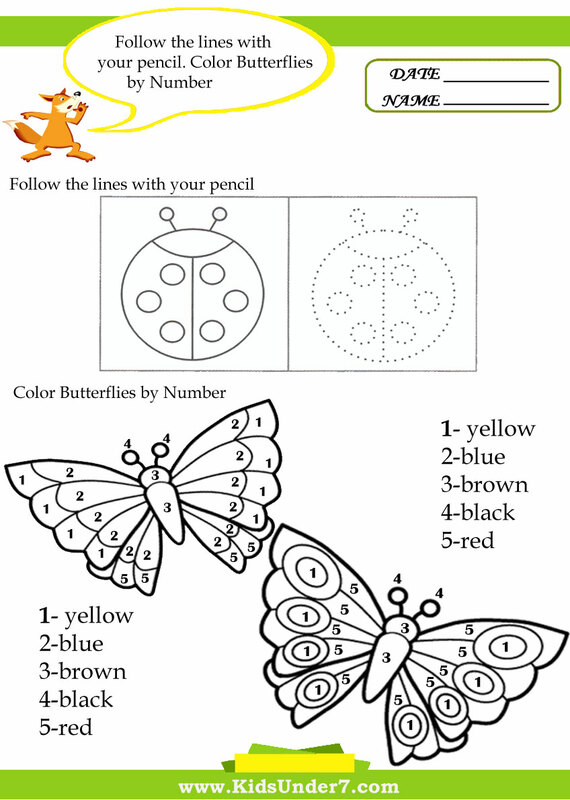 4.Follow the lines with your pencil.Color Butterflies by number. 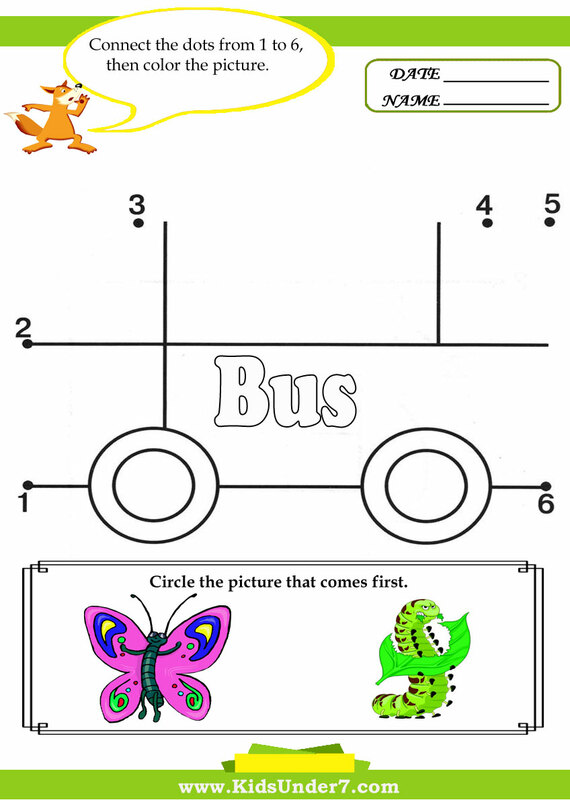 5.Connect the dots from 1-6, then color the picture. 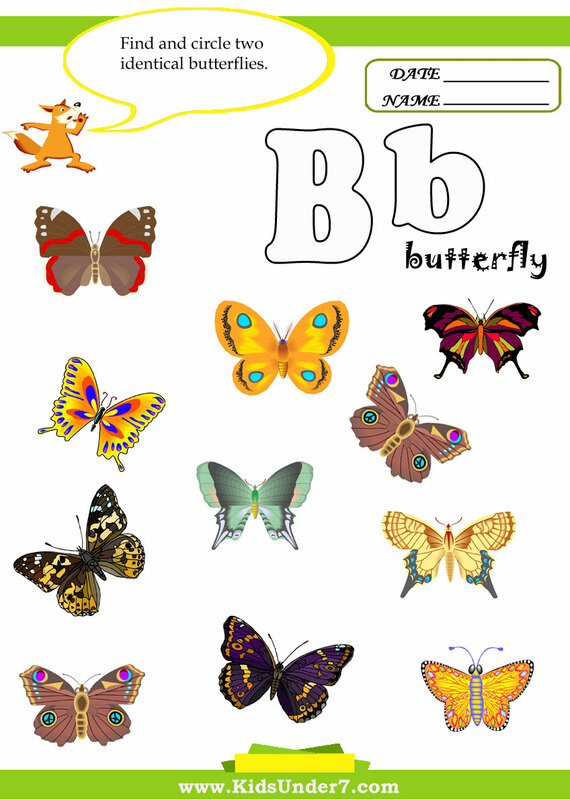 6.Count the number of butterflies. 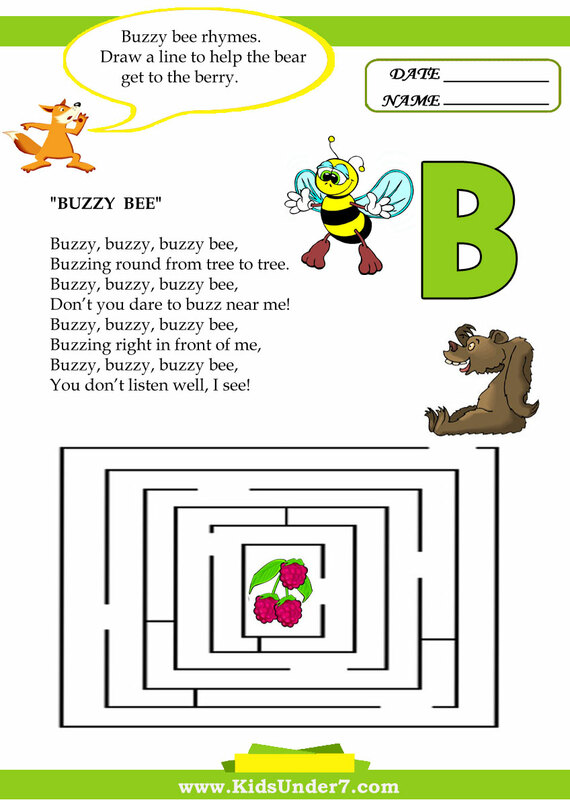 7.Buzzy bee rhymes. 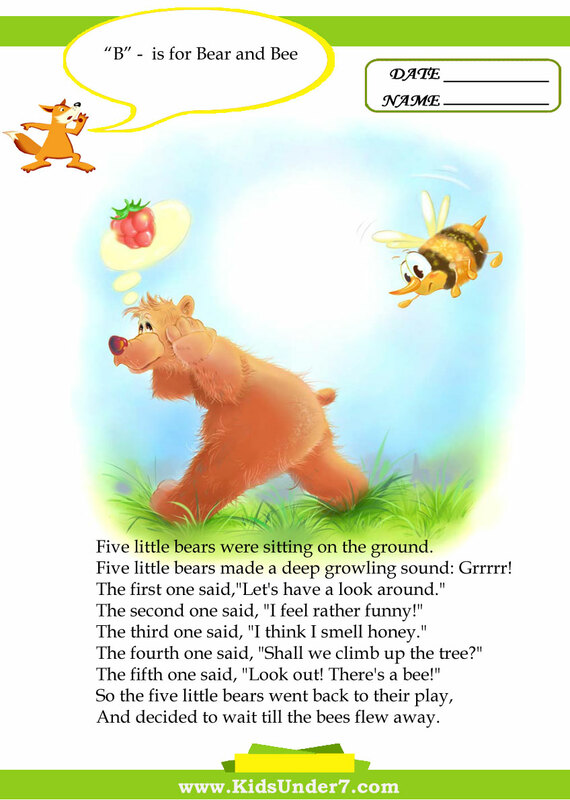 Draw a line to help the bear get to the berry. 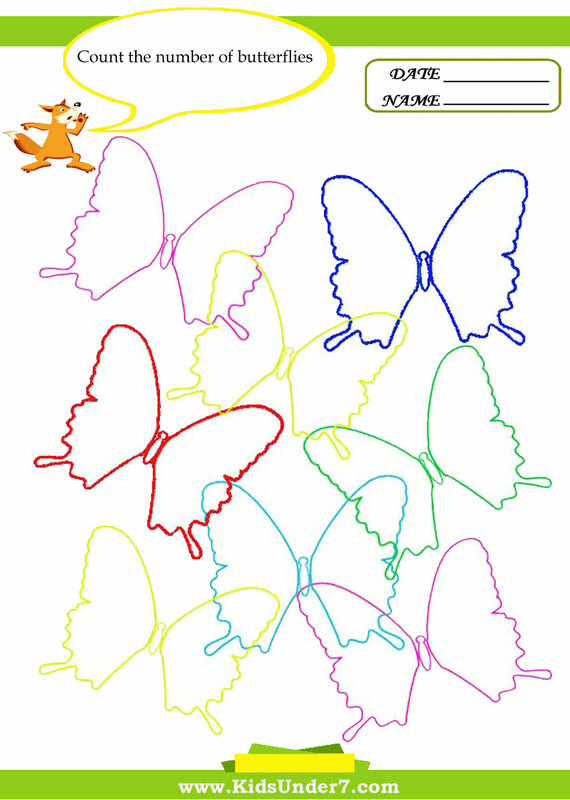 8.Find and circle two identical butterflies. 10. Write the letter B. 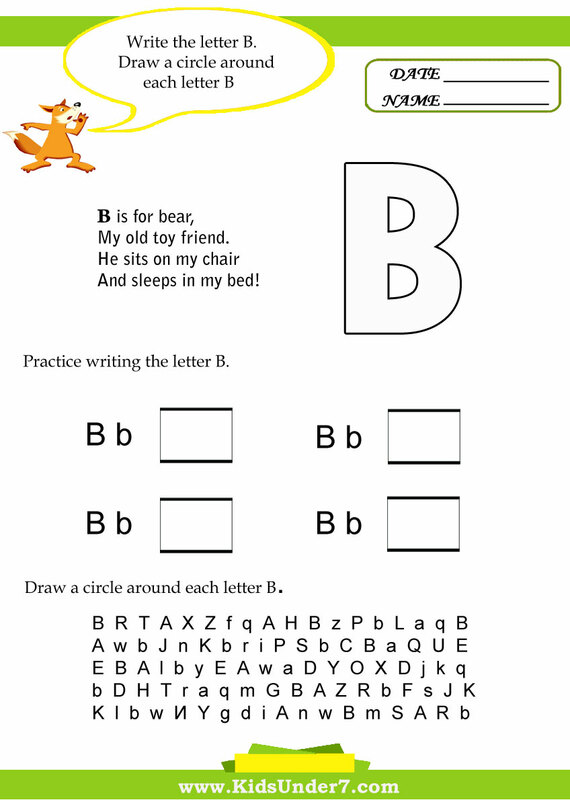 Draw a circle around each letter B. 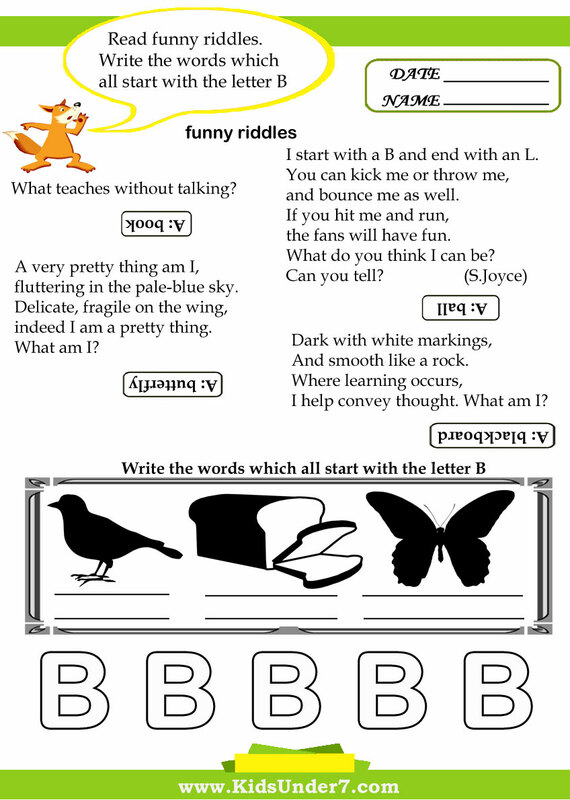 11.Read funny riddles.Write the words which all start with the letter B.
I start with a B and end with an L.
and bounce me as well. the fans will have fun. fluttering in the pale-blue sky. indeed I am a pretty thing. What am I? And sleeps in my bed! B is for Books and for Bookcase. Don’t you dare to buzz near me! You don’t listen well, I see! will make my bitter batter better."